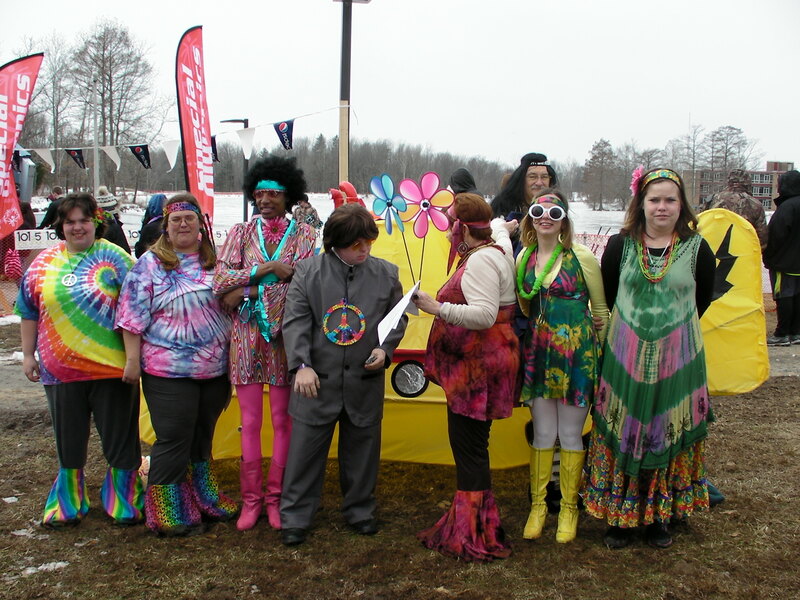 The Southern Illinois Lightning Bolts team of Marion has participated in the Carbondale Polar Plunge for the past two years. The team was created when then Area Director Paul Melzer asked coach Jane Henley why she and her husband Rich had not created a plunge team. Jane thought “Good question!” and the rest is history. The team usually consists of eight to 10 members with all of them being Special Olympics athletes. Every year the team adds more members and their current members are looking to recruit. A moment of pride for the team was last year when they won the Group Costume Award. 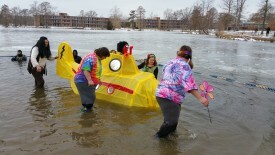 Team members stormed the waters as Vikings in a boat made by Rich Henley. 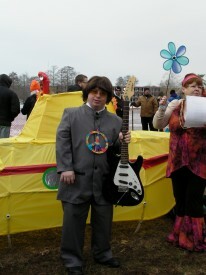 The team has also dressed up as a yellow submarine while singing the Beatles’ “Yellow Submarine.” Inside sources have not yet released this year’s costume. The team’s favorite part of the Plunge? “Seeing everyone come together for an amazing cause is great.” Henley makes a point to tell her athletes that this is all possible because of their efforts within the organization. The athletes work hard at all times of the year and it’s nice to see them give back to the organization that helps them. The team will be plunging again this year at noon Saturday, Feb. 27, at the SIU Recreation Center. If you would like to join The Southern Illinois Lightning Bolts at the Carbondale Plunge or want to plunge at any of Illinois’s 21 locations, visit PlungeIllinois.com.